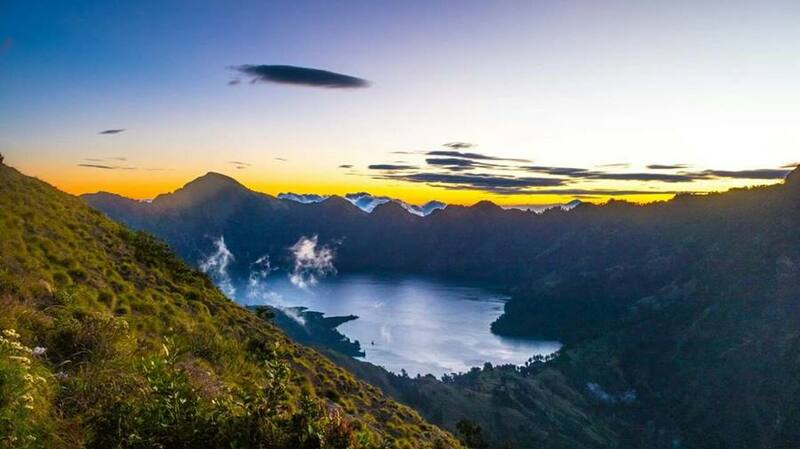 Mount Rinjani Hike 3 days 2 nights Summit and Lake Segara Anak start from Sembalun village to the crater rim Sembalun, summit, Lake and down to Senaru village. Arrival day : We will pick you up at the airport of Lombok or other place in Lombok island and transfer to the hotel in Sembalun. Meet your guide will provide guidance to better prepare you for the journey. Wake up at 6:00 and get breakfast. After that, we will walk to register at the Rinjani information center Sembalun. Trekking start from the village of Sembalun around 8:00 am. We start with a gentle climb through open meadow. After about 2 hours of walking, we will reach the post 1 (1300m), and another 40 minutes to Pos 2 (1500m). We will continue to Pos 3 (1800m) and have lunch here. After lunch and rest, we will go to Sembalun crater rim (2639m). It takes 3 hours including a prolonged steep climb. We will camp the night on the crater rim. We can enjoy the view of sunrise and sunset. We wake up around 2:00 am under the cover of darkness with a hot drink and a light breakfast. We will start heading to the summit of Rinjani at 3:00 am. We start with a moderate trek, followed by a fairly easy but longer trek. Final approach that involves climbing up steep volcanic scree looser. At 6:00.am We can reach the summit (3726 m) with a beautiful sunrise, and panoramic view of Lombok island, the island of Bali, the island of Sumbawa and Segara Anak Lake. After that, we will descend into the crater rim Sembalun within 2 hours and have breakfast here. Then we’ll continue descend to Segara Anak Lake for 3 hours. We stop at the side of the lake to rest. Here we can enjoy the view of the lake, and swimming in the lake. Bath in hot water can soothe away your aches and pains of traveling and is widely known for its natural healing powers.Our porters will prepare lunch for us. After the lunch, we will leave the lake and up to Senaru crater rim (2641m). Our campsite for the night, Senaru crater rim has the most spectacular view. We will enjoy an incredible sunset over Mount Agung in Bali and the smoke from the new volcano on the edge of the lake. After breakfast with a beautiful sunrise, we will leave Mount Rinjani descend to Senaru village through the rainforest. If we are lucky, we can see the rare black monkey. It takes 5 hours and we will take lunch along the way. Arrive at Senaru village (601 m) the Car will take you to your next destination. Pick-up from and drop-off to area in Lombok. Fuel, driver, and parking fees. Equipment, tent, sleeping bag, cook gear, mattress, toilet tent, and emergency lamp. Food and water as mentioned on the itinerary. Government tax and Trekking insurance. Bed and breakfast and rent a car. International, domestic flight ticket and connecting transportation. Tips for driver, porter and mountain guide. Rinjani Lombok net responsible for evacuate insurance as long as trekking acitivity, but not responsible for your travel and health insurance, and for any claims associated with any event covered by the insurance policy. Adequate and valid Travel Insurance is compulsory and mandatory for all the travelers who are going to participate in any of our adventure and recreational activities, i.e. mountain biking, trekking, climbing, etc. We recommend a comprehensive travel insurance policy that covers repatriation and evacuation in case of a medical emergency, cancellation and curtailment as well as baggage and valuables. And must cover against personal accident, medical expenses, emergency repatriation, personal liability, and emergency air ambulance/helicopter rescue services. We will ask and remind you about your insurance policy during your booking with us. Before your departure to the trip, our tour leader will ask and need to see your insurance policy. Please, ensure you have your policy number and emergency telephone number for your insurance company. You are responsible to check the policy and coverage by yourself. Equipment, tent, sleeping bag, cook gear, mattress, emergency lamp, toilet tent, and matches. Rinjani Lombok Net is not responsible for your personal documents and items. Items you are carrying it depend on the type of your activities in the “Programs”. Passport with minimum 6 month validity. Blood type card and allergic. Prescriptions for any or specific medication. Spare photo ID and important scans and documents on a dropbox (optional). Credit cards and small amount of cash. top and trouser easy to dry, rain jacket, rain pants and gloves. Lightweight trekking shoes, lightweight walking shoes, socks and trek poles. Ibuprofen (anti-inflammatory, pain relief), and some others. sunhat, sun glasses, earplugs, map and feminine items. Mobile phone, MP3, earphone, spare batteries, power bank, camera, video, extra memory cards, binocular, compass, headlamp and flashlight with good durability, personal locator beacon (PLB). Cloths string and hooks, books, notes and pen. Dry bag, day pack and recycle plastic bags. 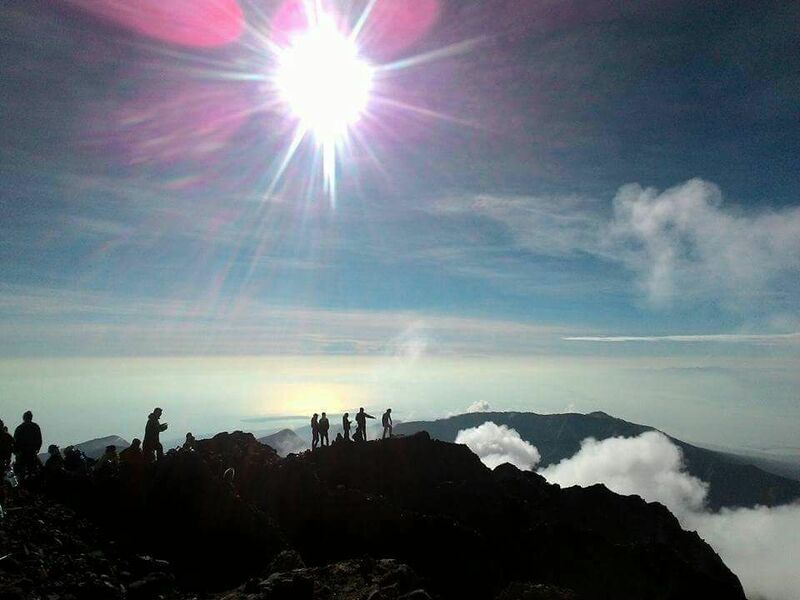 More Information or book Mount Rinjani hike 3 days to Summit and lake please contact us or please E-mail Us. Rinjani Lombok Net managed by Royal Rinjani Tour and Mr. Royal the owner not only operates as a tour business, but also maintains strong links with the wider community of Sembalun and contributes greatly toward its development, 15% of profits are channeled directly towards the local Community Development Centre, or CDC Sembalun.